Every family has that quick go-to treat that they bring to every family event - Church potluck, baby shower, wedding shower, BBQ - I could go on but I think you get the picture. 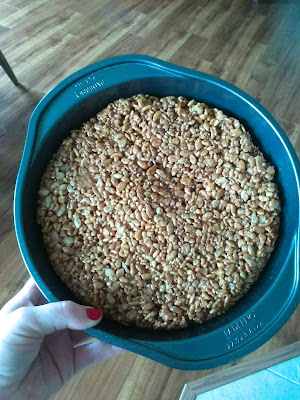 Years ago my Mum stumbled upon a lovely, yet easy, indulgence called Mars Bar Squares. This quick and easy recipe has never failed to put a smile on the faces of those who have had the pleasure of relishing it. Let’s get down to it. The name of the squares is quite self-explanatory and a little bit unfortunate. It doesn’t quite do them justice. I am willing to take suggestions for better names once you have tried these gems. Anyway, back to the mundane name that is Mars Bar Squares. 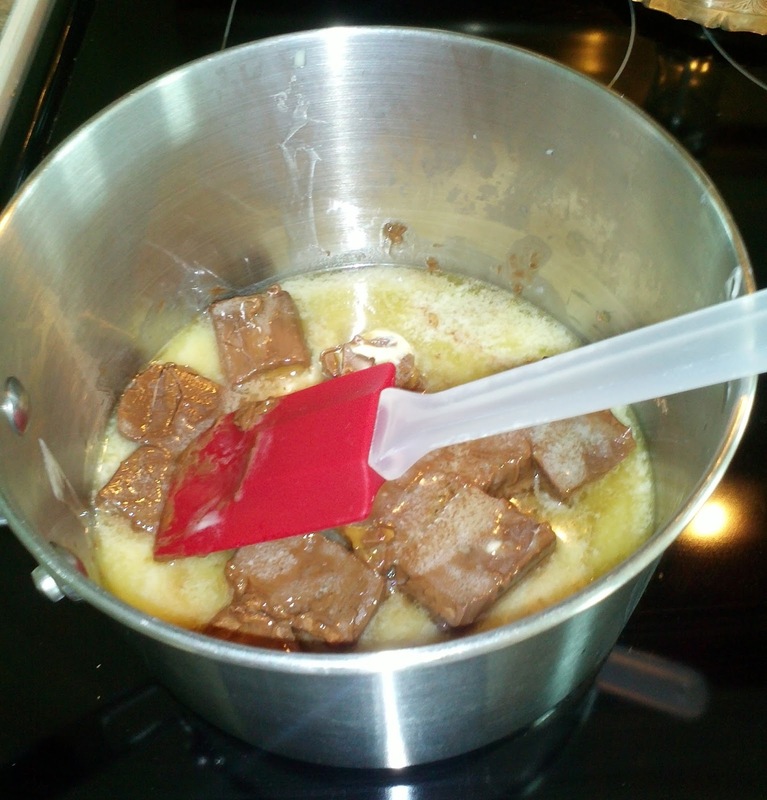 Melt your ½ Cup of Margarine and 4 Mars Bars over medium heat on the stove (preferably in a pot). Be careful here, you don’t want to cook it, so keep it from bubbling. I usually break up the mars bars and stir often to “help them out” a bit. baking session so all photos are via phone. Sorry. Once that is melted, turn off the heat and add three cups of Rice Krispies. Stir them in gently until they are thoroughly covered. 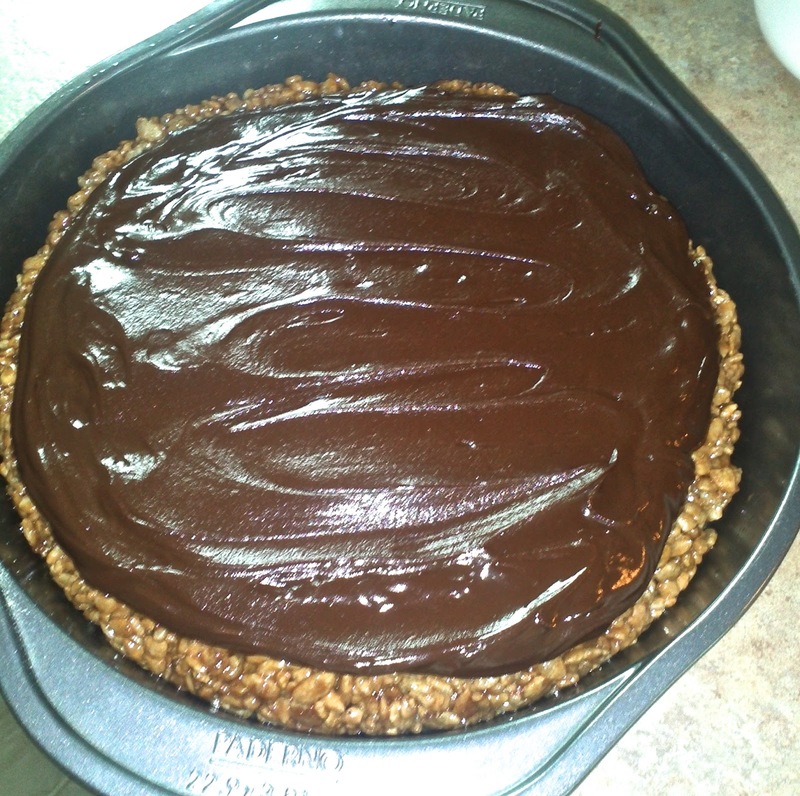 Pour them into an 8” square pan (clearly, I didn’t have one… any shape will do, really) and pat it down so it is even. Set aside. Once completely melted and combined, pour over Rice Krispie mix in the pan and smooth with a spatula. Let it cool, cut into squares and ENJOY. **Just a quick disclaimer. 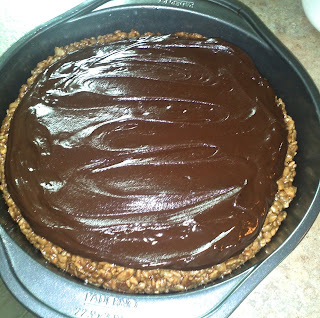 I have been doing a lot of gluten-free/vegan recipes lately. This is NOT gluten free (Canadian Rice Krispies are not gluten-free) and it is NOT vegan. It can be made gluten free if you choose. Just take a visit to the gluten free section in your local grocery store and buy gluten free mock Rice Krispies. Still delicious! !